ASTM / ASME SA 484/582 Stainless Steel Round Bars, Werkstoff Nr 1.4005 SS 416 Round Bars & Rods, SS DIN 1.4005 Round Rods Manufacturer,SS 416 Rods Supplier In Mumbai, India. Gunratna Metals, Mumbai, is associated with offering a huge range of Stainless Steel 416 Round Bars(SS 416 Round Bars) as a producer, exporter, stockiest and provider to our residential and worldwide customers. Stainless Steel Round Bar T-416 contains added phosphorus and sulphur for machinability, chips easily and will not damage your tools, but can be heat treated to increase its strength and hardness. 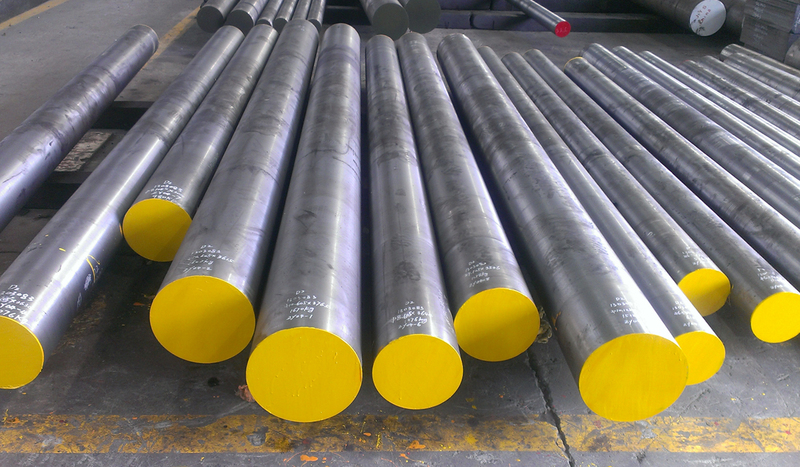 Stainless Steel 416 Round Bar is ideal for applications where excellent machining properties are important but superior corrosion resistance is not. We create SS 416 Rods which are of premium quality. With regard to national and global nature of crude materials, we likewise offer these UNS S41600 Round Bars (otherwise called WNR 1.4005 Bars) in tweaked sizes and thicknesses according to particular demandsby our regarded customers at showcase driving costs.These products are reliable in nature and offered products are superior in quality. Gunratna Metals Supplies Stainless Steel 416 Round Bars & Rods in Agartala, Agra, Agra Rampur, Ahmedabad, Aizawl, Ajmer, Aligarh, Allahabad, Alwar, Amaravati, Ambala, Ambattur, Ambernath, Amravati, Amritsar, Aurangabad, Bangalore, Bareilly, Belgaum, Bhagalpur, Bhavnagar, Bhilai, Bhiwandi, Bhopal, Bhubaneswar, Bidhannagar, Biharsharif, Bikaner, Bilaspur, Bokaro, Chandigarh, Chennai, Chittoor, Coimbatore, Cuttack, Dahod, Davanegere, Dehradun, Delhi, Dhanbad, Dharamsala, Dindigul, Diu, Durgapur, Erode, Faridabad, Fatehpur, Gandhidham, Gandhinagar, Ghaziabad, Greater Hyderabad, Greater Mumbai, Greater Warangal, Gurgaon, Guwahati, Gwalior, Haldia, Howrah, Hubballi-Dharwad, Hyderabad, Imphal, Indore, Jabalpur, Jaipur, Jalandhar, Jammu, Jamnagar, Jamshedpur, Jhansi, Jodhpur, Junagadh, Kakinada, Kalyan-Dombivali, Kanpur, Karnal, Kavaratti, Kochi, Kohima, Kolhapur, Kolkata, Kota, Lucknow, Ludhiana, Madurai, Mehsana, Mangalore, Mangaluru, Mira-Bhayandar, Moradabad, Morbi, Mumbai, Muzaffarpur, Mysore, Nagpur, Namchi, Nasik, Navi Mumbai, NDMC, Nellore, New Delhi, New Town Kolkata, Noida, Oulgaret, Pali, Panaji, Panipat, Panvel, Pasighat, Patiala, Patna, Pimpri-Chinchwad, Port Blair, Puducherry, Pune, Raipur, Rajkot, Ranchi, Raurkela, Industrial Township, Rourkela, Sagar, Salem, Satna, Secunderabad, Shaharanpur, Shillong, Siliguri, Silvassa, Solapur, Srinagar, Surat, Thane, Thanjavur, Thiruvananthapuram, Thoothukudi, Thrissur, Tiruchirapalli, Tirunelveli, Tirupur, Tumkur, Udaipur, Ujjain, Ulhasnagar, Vadodara, Vapi, Varanasi, Vasai-Virar, Vellore, Vishakhapatnam. Gunratna Metals exports Stainless Steel 416 Round Bars & Rods to Countries like India, United States, United Arab Emirates, Canada, Pakistan, Peru, Chile, Spain, France, United Kingdom, Indonesia, Israel, Iran, Kuwait, Mexico, Malaysia, Serbia, Singapore, Taiwan, Chile, Venezuela, Ecuador, Saudi Arabia, Netherlands, Brazil, Colombia, Ghana, Iran, Denmark, Poland, Australia, Afghanistan, Bahrain, Costa Rica, Egypt, Iraq, Jordan, South Korea, Kazakhstan, Sri Lanka, Lithuania, Norway, Oman, Philippines, Poland, Qatar, Russia, Vietnam, South Africa, Mexico, Turkey, Hungary, Algeria, Angola, Argentina, Austria, Azerbaijan, Bangladesh, Belarus, Belgium, Bhutan, Bolivia, Bulgaria, Croatia, Czech Republic, Estonia, Finland, Greece, Italy, Japan, Libya, Romania, Thailand, Trinidad & Tobago,Tunisia, Ukraine, Yemen, Hong Kong, Gabon, China, Portugal, Switzerland, New Zealand, Sweden, Slovakia, Kenya, Lebanon, Morocco, Mongolia.